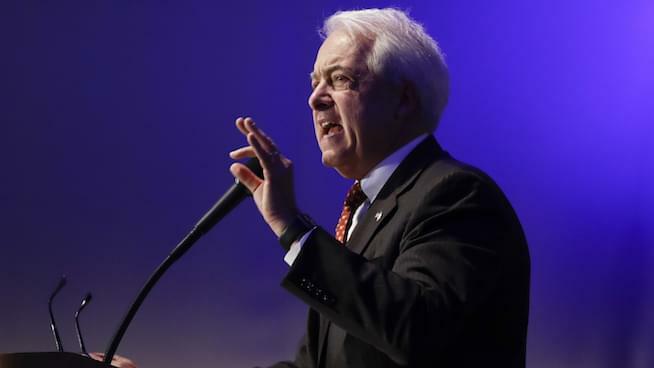 California’s primary takes place on June 5, and it appears GOP gubernatorial candidate John Cox has edged his way to the top of the pack in spite of the state’s liberal tendencies. Democrat Gavin Newsom is expectedly leading the list of contenders, but polls show Cox has has built a lead over former LA mayor Antonio Villaraigosa (as well as Travis Allen) for the number two slot, which would secure him a spot on the November ballot. Cox made a campaign stop to talk to Jack Armstrong & Joe Getty about the race! He spent his on-air time discussing homelessness, the housing crisis, reigniting economic growth, deceptive political ads and why he is a fan of the Trump White House.